If you’re looking for an alarm clock, planner, music player, or camera this is where your smartphone comes in. And I’m sure you have one right now that plays an important role in your life. It makes things so convenient when trying to navigate or find your favorite song. But did you know that your smartphone can do so much more than your normal everyday tasks? And that’s why I decided to gather some awesome smartphone hacks that will make your life a bit easier and better. These are ideas that will save you time and money. So check them out and let me know what you think! Consider changing the background of your lock screen with your emergency contact. You can easily do this by simply typing your information into your notes app, take a screenshot, and change it to your lock screen. In case you get into an accident or your phone gets lost, the person who finds you or the phone will know who to call. Dash cams are great to have when you’re driving; they allow you to capture footage of an accident involving your car (in case you’re not the one at fault). And with this super easy DIY project, you can have one for yourself. All you have to do is attach some rubber bands onto your car’s visor, have your phone’s camera pointing forward, and you’re done. When we travel to new places, we tend to look for directions on our phone and that drains our battery really fast. So to prevent this, take a screenshot of the directions and then turn off your internet to save the battery. If you have a spare sunglasses case, put it to good use and keep your headphones, chargers, or any loose wires inside so they don’t get tangled. Whenever you plan to visit the store, make it a habit to take a photo of your pantry or fridge right before so you know what you need to restock. This will save you so much money and time. Before you throw out those empty lotion bottles, upcycle them and try this DIY project. You just have to cut them out, glue some fabric on the outside, and you’ll have a phone charging holder in a breeze. Not to mention, it’s designed to hang on your wall so you’ll save so much counter space. 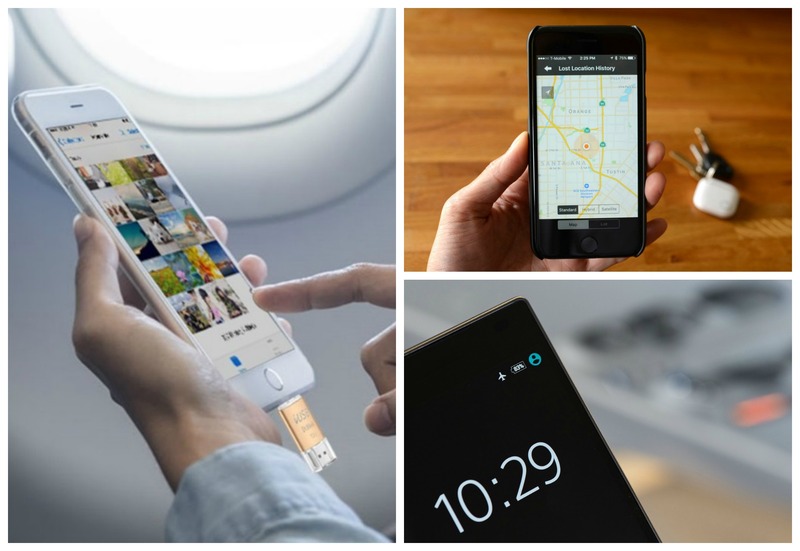 Extra storage on your smartphone is such a great idea. And did you know that you can easily add up to 32 GB with this nifty flash drive? Awesome right? Since you use your smartphone a lot, it’s always important to keep it clean and sanitized. And to easily keep them neat, all you have to do is mix water with some isopropyl alcohol, pour into a small spray bottle, and use it as a cleaner. To easily charge your smartphone, try putting it into airplane mode so it’s not constantly searching for signals. Your phone will be ready before you leave the house. It’s safe to say that smartphones have changed our lives for the better. They can do so many things that’ll save us time and even help us out in case of an emergency. So give some of these hacks a try and let me know what you think! Now, if you have questions about this post, let me know in the comment below. I’d love to help you!